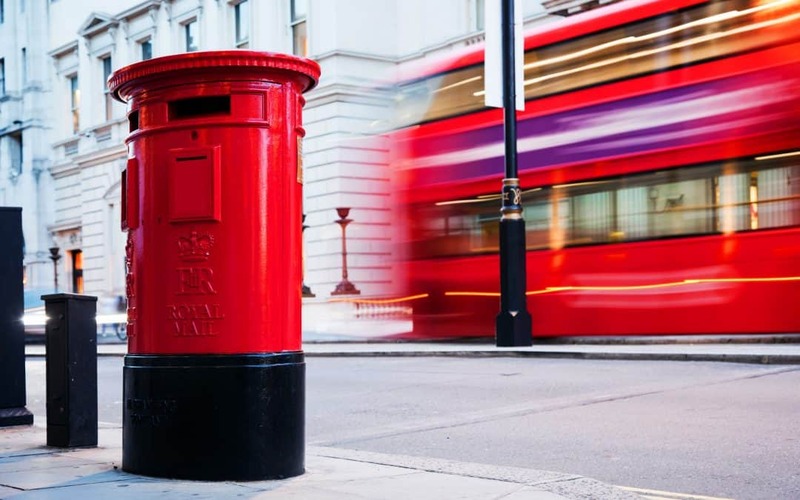 Getting around London will be one of the biggest adjustments you will be facing when moving to the UK from another country. Likely, back home you had a car and drove everywhere you wanted to go, in London a car is very impractical. Not only will you be forced to pay a large sum to have a place to park your car, driving in the City is quite a new experience and vastly different than driving in the States, Canada, or Australia. So let’s explore some of the things you will need to know about getting around your new, and soon to be favorite City of London. There are a great number of ways to get around the largest City in the world. There’s the underground, commonly called “the Tube”, in the Western world what is known as subways. The Tube is the number one transport method Londoner’s use to get about the City. There is the London overground, basically the same method of transport but above ground. The overground is undergoing a lot of investment and in the year to come will have many more locations and options for getting around. There’s the national rail system, the second largest method of folks getting about town, and of course London’s famous red double-decker buses which travel every inch of the City from just about every corner. London’s also famous for the black taxi’s about the city which are commonly hailed on any busy thoroughfare. The first thing you have to keep in mind when riding the Tube is the number of lines (routes) of where the Tube travels, and the different zones in the City. Starting from the center of central London which is zone 1, and travel out past the edges to the outskirts of London which is zone 6. Determining where and in what zone you are going to live, and where you will be traveling for work will determine which zones you need to buy travel in. There is an option for purchasing the ability to travel in all the zones, but its an expense you need not incur if you are really going to do your predominate travel between your home zone and your work zone. Historically, London’s Underground was the first in the world opening back in 1863 with the Metropolitan Line, which is still in use today as parts of the Metropolitan, the Circle, and Hammersmith & City lines. the City and South London Railway opened in 1890, and is now part of the Northern line. While it was the first of its kind, it is now the 11th busiest transit underground system, which when you first begin riding it you will wonder how there could be ten undergrounds more crowded! Truthfully, it is so busy during the peak weekday hours of the morning commute from 4:30 am to 9:30 am that its easy to be intimidated, so you’ll want to have a few Tube experiences before you try to brave the rush hour commute to work. We will have a post next week on where each travels to in approximation that you will want to refer to when planning your trips around London, but in the mean time you can see a clear representation here. This map will tell you where each line travels, it will let you print a Tube Map, which you most certainly want to do. It will also tell you walking times between Tube stations , and even walking steps between Tube stations. The transit authority in London is so crucial that they even have maps for those who need to avoid stairs, those where you can avoid walking, and even where to find public toilets along the lines, so it’s a great resource to keep on your computer or phone. Keep in mind that 4.8 million people travel the Tube everyday, so know where you’re going and where you’d like to depart before you get on. Use the maps above so you can have something in hand when you ride. Though its called the Underground, only 45% of the 250 miles of track (400 km) is actually underground, the rest is above ground. The “Underground” brand is operated under the control of the London Passenger Transport Board (LPTB), but is owned by Transport for London, or what you’ll more commonly see as (TFL). There are a number of expansions planned for the Tube which include Croxley Rail Link; Northern line extension to Battersea and Clapham Junction; Bakerloo line extension to Lewisham or Hayes via Camberwell or Old Kent Road; Bakerloo line extension to Watford Junction; and Central line extension to Uxbridge. Another difference in Tube travel than that of the Western countries is that when the Tube is so overcrowded, they close the station! 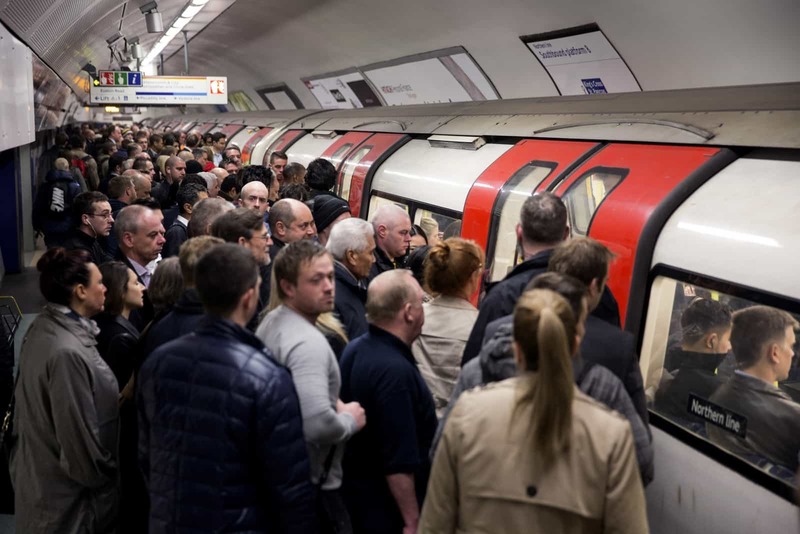 Overcrowding on the Tube is the biggest complaint that Londoners have with the Tube. It can cause delays, and the above link we gave you will alert you if that’s the case. If the Tube delays you more than 15 minutes you are entitled to a refund from TFL, but only if its due to a factor that is under their control. Central Line: between Ealing Broadway and Hainault via Newbury Park and between White City and Loughton. There’s no service on West Ruislip Branch, between Woodford and Hainault or between Loughton and Epping. Northern Line: between Morden and Edgway/High Barnet via Charing Cross. No service on Mill Hill East or Bank Branches. Piccadilly Line: between Cockfosters and Heathrow Terminals 2,3, and 5. No service to Terminal 4 or between Acton Town and Uxbridge. The system has 270 stations, so you’re not going to have to travel too far to catch a ride, however, you want to keep in mind that the southern point of London, so south of the Thames isn’t as well covered as the rest of London. This area only has 10% of the stations in the area. A good point to keep in mind when you are searching for a flat to rent. Walking distance to the Tube will be crucial, believe it. There are a total of 11 zones, and its how the TFL determines fare amounts. Some lines cover multiple zones at which the lowest fare applies. Like tickets you buy passes to operate in specific zones. Zones 7, 8, and 9 are on the Metropolitan line but travel outside the London City limits beyond Moor Park. Fare zone 1 covers the central area of London, and fare zones 2, 3, 4, 5, and 6 form concentric rings around central London. Some National Rail stations and all Transport for London served stations outside Greater London in the countries of Buckinghamshire, Essex, Hertfordshire, and Surrey are either include in fare zones 4, 5, or 6 or are in extended zones beyond these. Fares for the London Underground, National Rail, London Overground, TFL Rail and Docklands Light Railway are all managed by Transport for London and cover 9 different fare zones. 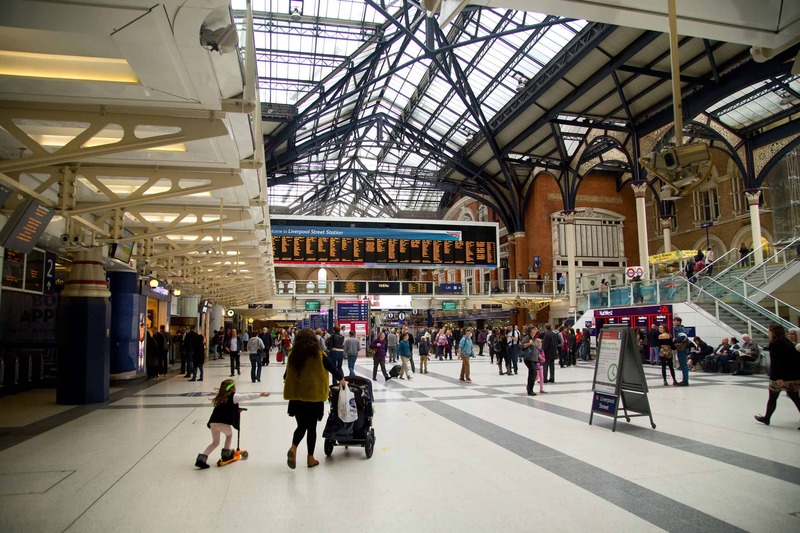 There are a number of ways to pay for travel, two of the most prominent are the Travelcard, and the Oyster Card, which is a pay as you go fare (though there are also season tickets). 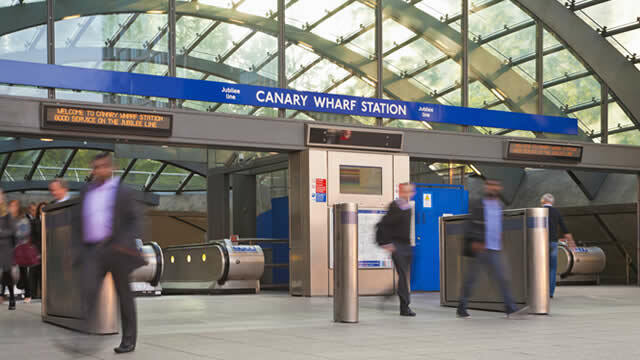 Travelcards are an inter-modal travel ticket for unlimited use of the Underground, the Overground, TFL Rail, Docklands Light Railway, Tramlink, London Buses and National Rail in the Greater London area. You can buy Travelcards that are good for a day, to as long as one year. Depending on where you purchase it you will either get a paper ticket with a magnetic stripe or an encoded Oyster card. You pay the price that is determined by what zones you’ll be traveling so there isn’t a price we can list here that would be applicable, it all depends on where you are going. The Oyster Card is London’s version of electronic ticketing. Unlike the travelcard, it can also be used on some river boat services,. It’s the size of a credit card and chances are you will use it like one everyday. You just touch it to an electronic reader when you enter and leave the transport system and it deducts funds. The card should be kept and topped up which you can do on a recurring payment authority you give in advance, or by credit card and cash at stations or ticket offices, there is also an online option. The whole idea behind the Oyster Card is for TFL to reduce the patrons at ticket terminals and they strongly discourage the use of cash, in fact, you will pay a higher fare for paying with cash. Though when it comes to the London bus system cash has already been phased out, which will happen on the Oyster Cards in the future. 80% of the travelers use the Oyster Card and chances are high that you will too. But be careful not to lose it! You can register the card to protect you from theft. Your able to register them at any London Underground station, at an Oyster Ticket Stop (there are over 4,000), or a Travel Information Centre. You have to register the card to have any protections for use after purchase. The greatest security protection is to register it and buy travel via an online account which is linked to one of your credit cards. When you register there will be one of three security questions, your mothers maiden name, or memorable dates or place. If you purchase online or by phone you are automatically fully registered as part of the process. this is the only way to allow for a full protection against theft or loss. Whew! Not all these lines will apply to London, but it seems right to be thorough so you can refer back here if you are having any trouble. This site here will tell you if there are any delays, or if the status is good on each line https://tfl.gov.uk/national-rail/status/. It may seem fairly obvious but the urban living in London is different than anyplace else on Earth. London’s the worlds biggest city and there will be times that you feel like its overwhelming; don’t panic. It may be hectic at first, but soon you will know which zones you travel in most and be flashing your Oyster Card like a pro or a native Londoner. You definitely want to practice getting about before you have to report to work on day one, in fact, you’d better plan on traveling a practice run during rush hour. You don’t want to have to brave that first experience the day you are starting your job, it’s just too much stress for any one morning. But with practice you’ll be Tubing around London like a pro. 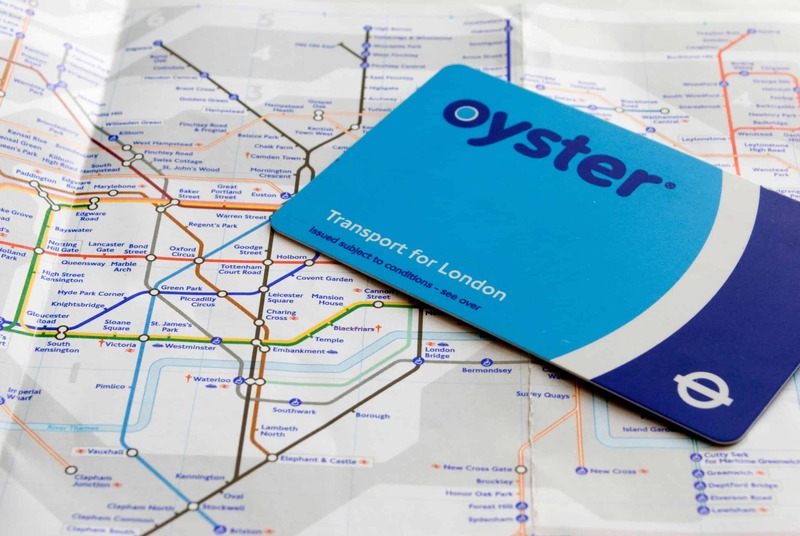 Certainly, make use of the maps and websites above and check out our other posts about the Oyster Card , and transit in London .